I’ve been ruminating on why I’m so drawn to social media and on what I hope to get out of using it. We writers are continually being told by those in publishing who know about these things that we should build our “platforms,” cultivate our audience, even before we have a book to sell. Certainly I began using social media with these directives in mind, yet social media is more than marketing for me. I was first invited to join Facebook six years ago by a friend who lived in another state, as a way for us to keep in touch across the miles, and this keeping in touch with people who are far away continues to be one of the main reasons I maintain a personal profile there. A lot of people, though, use personal profiles for professional or advocacy reasons, so over the years I’ve had to find a way to incorporate those connections without compromising my privacy too much. This has probably been my biggest challenge in using Facebook. OK, so it’s been about a month rather than a week since my last Book a Week post. What can I say, it’s summer. I’d like my own poems to be as tight as Beasley’s, though sometimes her cleverness kept me at a distance. But maybe that’s just my looking for other’s hearts on their sleeves, where I tend to wear mine. I recognize a fair amount of angst in my own poetry. It will be interesting to see if that changes as my poetic skills develop. Over the past year, I’ve thought a lot about what direction I’d like to take with my writing. Why do I write? What are my goals? One topic that kept coming up is the role creative people play in society, how they often use their art–whether it’s painting or photography, writing or music–to give voice to others who aren’t as easily heard. Does “artist” equal “activist?” I’ve discussed this quite a bit with my friends at Flycatcher and at Kennesaw State University, where I’m a graduate student. Until now I haven’t been entirely comfortable with the label “activist,” probably because I haven’t been entirely comfortable with publicly speaking my mind. That’s not to say I haven’t done it. I’ve always had a tendency, in fact, to speak up and take a stand. For example, my first published essay was written in response to the BP oil spill. And my friends and family could give examples of situations where I’ve made them uncomfortable because of my insistence on vocally taking a stand. This past year it’s been more a question of how far I’m willing to go. The question hit home with me during spring semester, when for a biography class I wrote about a prominent adoption reform activist (I hope to say more on that at a later date). 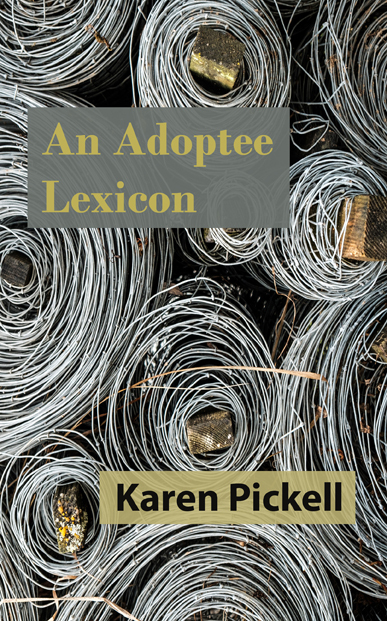 I’m an adoptee myself, and much of the creative writing I’ve done over the past four years has focused on adoption in one way or another. In the past, I’ve written letters and left comments on sites in support of adoptee rights, yet I haven’t told many people besides my husband that I’ve done those things. I’ve been hesitant to identify myself as an activist. In the family I grew up with, we didn’t talk much about too many things, not feelings or politics, certainly not art or literature. Then I worked in a corporate environment for nine years, and if you know anything about large corporations, you know they don’t exactly encourage outspokenness. I don’t mean to sound like I’m laying blame here. My point is just that meaningful discourse wasn’t part of my everyday life until rather recently, so I’ve been inclined to temper my inclination to speak up. I’ve been afraid of people’s reactions. I guess that’s why talking about this now feels like coming out. But I realize now that if I’m going to be a successful writer, first and foremost I have to be honest. I can’t continue to live in fear of the fallout from what I want to write about. I have to be true to myself. And the truth is, in my heart I’m a literary activist, someone who wants to use the written word to educate and to try to bring about change, whether it’s through stories, poems, essays, articles, or posts like this. 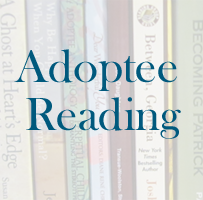 So, if you stick with me on this blog, you’re going to start to see more posts directly addressing adoption-related topics and issues. I am an adopted person, and that fact has influenced so much of my life that I must write about it. I simply must. Adoption isn’t the only topic I write about though, so this won’t become an adoption blog per se, but I do want to dedicate a portion of this blog to the major theme of my life. I hope that you’ll continue to follow along as I take this journey. Since it’s Friday and I’m in the mood to slack off, I took some time today to try out Facebook’s new Timeline feature on my personal profile. I approached the Big Change with fear and trepidation, expecting to be outraged by how much of my life was now available to my (not-always-so-close) friends. Instead I got a big surprise–I actually like the new Timeline. First of all, there’s nothing on it that wasn’t already available on Facebook by endlessly reading older posts. Facebook still can’t mystically publish information about me that I didn’t put out there myself. If some are horrified by what they read on their own timelines, it’s probably long past time they reconsidered their posting habits. Second, the algorithm being used to select items for the Timeline isn’t half bad. It seems to choose relevant updates, photos, etc., in a similar fashion to how Facebook presents updates from friends on the home page, which appears to depend on how many people liked them or commented on them. Pretty reasonable. The algorithm also seems to like pictures quite a bit, which is fine by me since they make the timeline visually interesting. Having said all that, I have to add that the Timeline is pretty buggy at the moment. Posts I tried to hide won’t stay hidden, and the timeline itself tends to uncontrollably scroll back up to the top. But I’ve come to expect “enhancements” rolled out without exhaustive testing being done, so I’m not surprised. And I’m sure that these issues will be addressed over time. In the end, of course, it doesn’t matter much what I or anyone thinks of the Timeline. Facebook plans to convert everyone’s profiles eventually and all the complaining in the world isn’t likely to alter that plan. At least this is one feature I find useful.